beg and plead for the K(c)ulture. Hip-hop's famous couple has welcomed their bundle of joy. 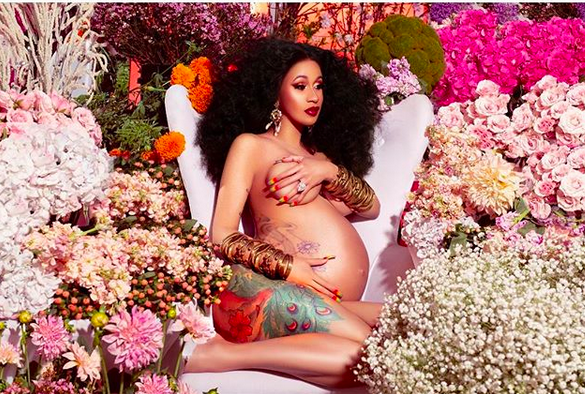 Cardi B and Offset welcomed baby girl Kulture Kiara Cephus on July 10th. She's named after her daddy's group's top selling albums. Who can blame them. The first of the Culture series gave us Bad & Boujee. According to Cardi's IG post (see below) any other name would've been basic. Baby Kulture's birth comes two weeks after Bartier Cardi and OFFSET! (Quavo voice) revealed they tied the knot back in September in a basic... basic ceremony.